Use the image sizer and navigate to the Custom tab. 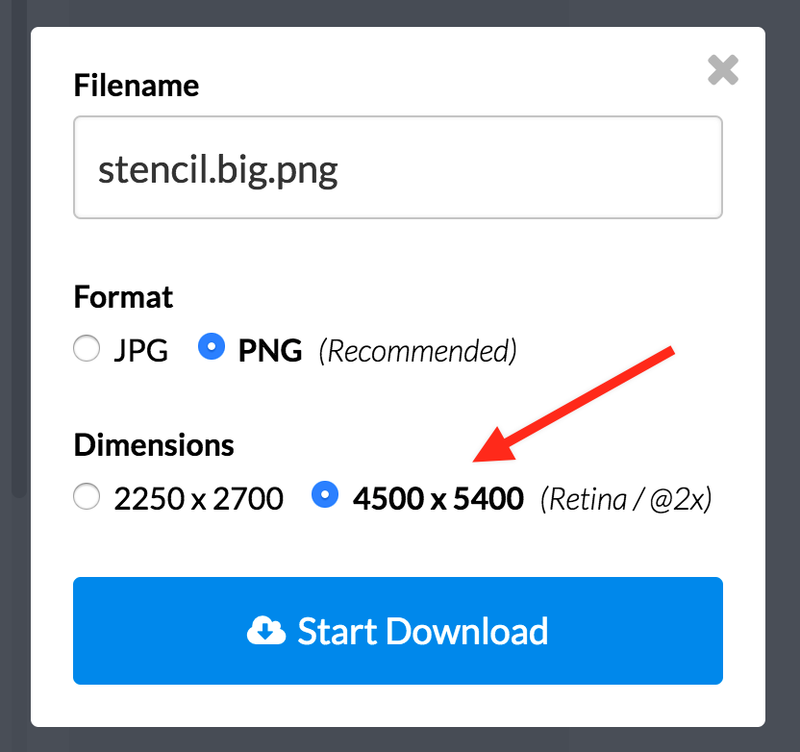 When you've finished creating your image, click Download and select the "Retina / @2x" option. This will result in an image that is double the size at exactly 4500x5400 pixels in 72dpi.